The nice weather isn’t just good news for humans, but also comes as a relief to our four-legged friends who like to spend time enjoying the outdoors. We consider ourselves animal lovers at HHHunt and can’t get enough of our adorable pets because they’re a part of our family! Dog parks at apartment communities have evolved in recent years as residents are increasingly looking for this amenity during their apartment home search. Dog parks offer a secure location to enjoy time with your pup and let him or her play with friends. They boast lush grassy areas, play features and cleanup stations. Many of our apartment communities like Abberly Waterstone in Stafford, VA, include a welcoming and spacious dog park for our residents and their four-legged friends. Teams at our apartment living communities have even noted that their dog parks are among the top amenities prospective residents inquire about when touring the community. According to an Apartments.com survey, over 70% of apartment renters owned pets. We’re a nation that loves our pets and for many of us, our pets are an important part of our lives. Dogs and other pets offer a variety of health benefits for their owners by encouraging longevity and healthier lifestyles. Pets can even make us more social. An added bonus of the dog parks at our apartment communities is that they’re popular gathering places to spend time with neighbors and friends. At HHHunt, we believe it’s how you live that matters. Discovering innovative ways to deliver amenities that serve our residents and their pets, such as our dog parks, ensures that we’re delivering on our brand promise to be a provider of quality products and services. 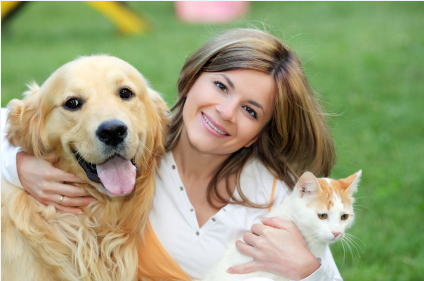 For more information on pet-friendly apartments in Stafford, VA, contact Abberly Waterstone.